One of the best feature of iPhone is its powerful Operating system and thousands of applications available. To guide you in choosing which applications you should install on your iPhone, weâ€™ve selected what we think are the best top 5 utilities available for iPhone or iPod touch. 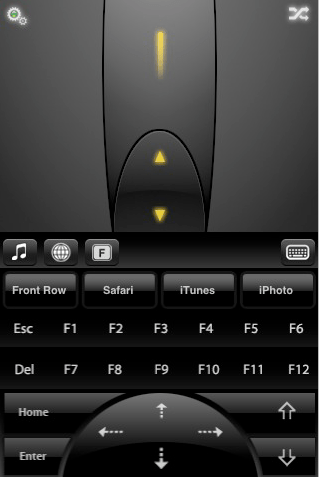 1) Air Mouse Pro: Air Mouse Pro is a fantastic application that transforms your iPhone into a wireless mouse and keyboard for your computer!Using the accelerometer and touchscreen of either an iPhone or iPod touch, Air Mouse works over a local Wi-Fi network to control you computerâ€™s mouse and keyboard. Combined with customizable keyboard shortcuts, this nifty app can control any application on PC. It also needs a small application on your PC. 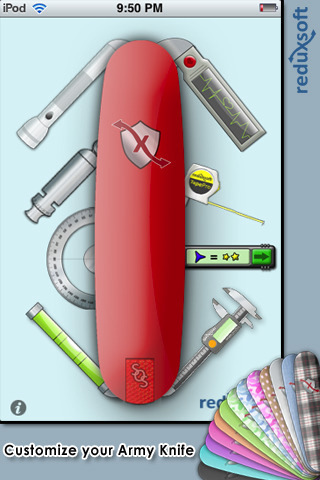 Requirements: 32-bit or 64-bit Windows OS or Intel Mac OS X 10.4; iPhone or iPod Touch running 2.1+ Software Update. 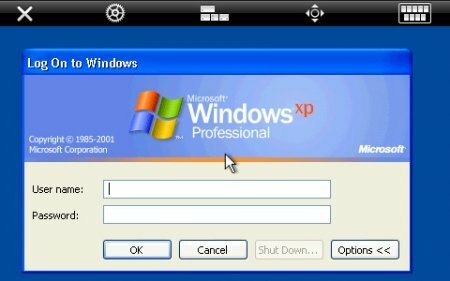 2) Jaadu Remote Desktop: Jaadu Remote desktop is a Windows Remote Desktop (RDP) client for iPhone or iPod Touch that can be used to control your PC from your iPhone or iPod Touch. It can be used to run any software on PC and access it just like you are accessing it on your computer. It also has a feature to stream audio to iPhone. This way you can listen to the songs stored on your PC using iPhone. It also features full keyboard including all the “function” and “special” keys. Requirements: Windows 7,Windows Xp Professional and Media Cener Edition, Windows Vista Business and Ultimate,Windows 2000, Windows Server 2003 and 2008; iPhone or iPod Touch running 2.2+ Software Update. 3) iEmoji: iEmoji enables iPhone or iPod Touch users to use Emoji (emoticons) natively in keyboard. Just install this app and enable Japanese keyboard from settings. 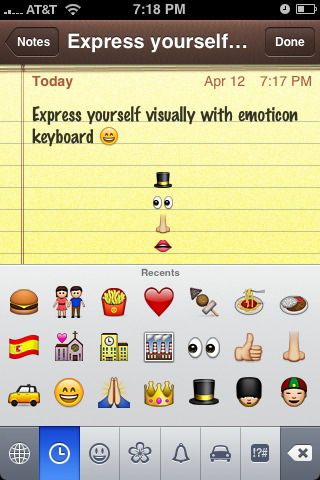 This enables Emoji and can be used with any application installed on iPhone or iPod touch. Requirements: iPhone or iPod Touch running 2.2+ Software Update. Requirements: iPhone or iPod Touch running 2.1+ Software Update. 5) Fring: Fring is a mobile internet community and communication service that allows friends to connect, share experiences and enhance their communities (SkypeÂ®, MSN MessengerÂ®, Google Talkâ„¢, ICQ, SIP, Twitter, Yahoo!â„¢ , AIMÂ®) together, using your iPhoneâ€™s & iPod Touch internet capability. It is an all-in-one IM client. It can also be use to make VoIP calls over WiFi using SIP. Requirements: iPhone or iPod Touch running 2.0+ Software Update.